The RBP-180 is the successor of the RVP-250. 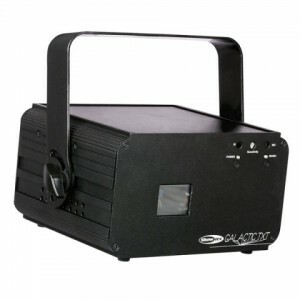 Because of the change from violet into blue laser it creates the colors more intense and gives a better output. 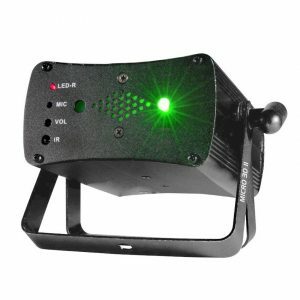 Another addition is the Ir remote controller that gives you the possibility to control the laser without DMX. The multicolor lasers from Galactic Value Line can function as a Master for the single color laser when they are used in Master / Slave mode. All Multicolor lasers from the Galactic Value Line have the same personality which has 10 DMX channels and 32 different patterns. 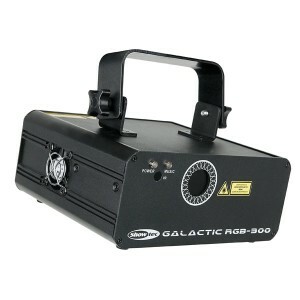 The Galactic Value Line is a family of compact lasers with the same functionalities but different colors. These 5 new models of the value line series are equipped with an IR remote and updated with more bright and better color combinations. They all have the same control modes and programs. This makes it easy to create a versatile laser-show with different units. 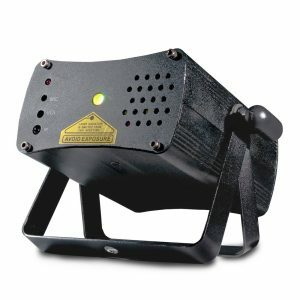 The Galactic Value line has one auto and one sound to light program integrated and they can be selected manually or by DMX. In DMX mode you also have total control of all Patterns, X-Y movements, zooming, speed and rotation. 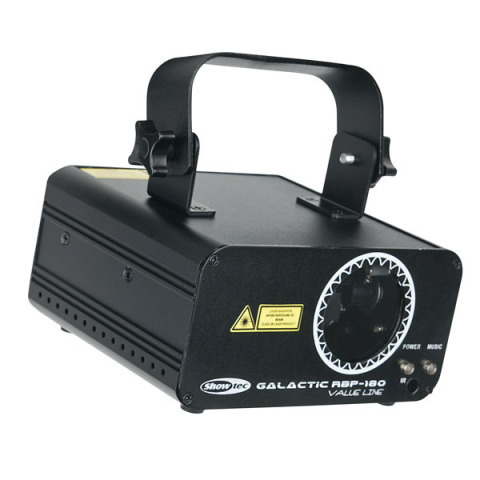 All Galactic value line models are equipped with optimized optics for the best laser performance. Attention, the laser only works when the interlock connector is connected with a remote interlock (ordercode 51316). You can test if the laser works properly with the included test connector. If you use the laser in public area’s a remote interlock is necessary for safety regulations. 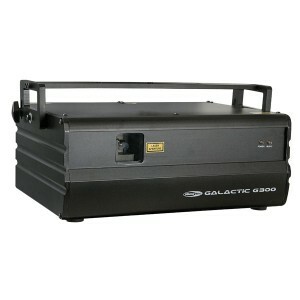 The Galactic value line makes it possible to create a cost effective professional laser-show with one or multiple units.